Middeladermad starts with a thirty introduction about medieval food and cooking. 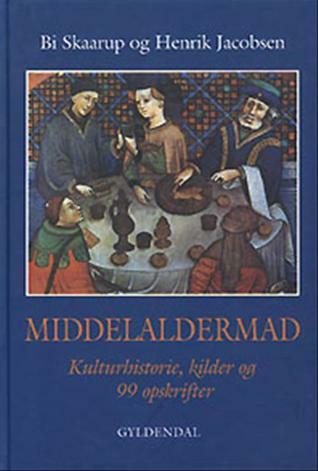 Followed by 99 recipes for medieval food with sources. The introduction has great infomation, is well researched and is very readable as well. It takes some time to disspell a few myths about medieval food and cooking. The recipes are well written and easy to follow. They all have source material from the period, mainly from three-four period sources. I have made a few of the dishes and they are easy to work with. So I want to own this one.